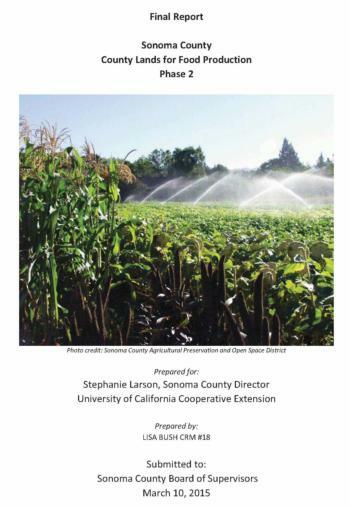 On March 10, 2015, UCCE and Sonoma County Ag Preservation and Open Space District presented the final 2 phases (farming and grazing properties) of “County Land for Food Production Report” to the County Board of Supervisors, and it was approved unanimously. Eighteen properties, owned by various county agencies (see below) were assessed. It’s worth your time to read through this document to see what lands are out there and whether they may be suitable for you! The Executive Summary of that report states: “The primary reason that few of the vacant lands owned by County departments are suitable for farming or grazing is that most of the appropriate County properties already support such uses. Over 4,500 acres owned by Regional Parks, SCAPOSD and General Services are currently leased to local farmers and ranchers and are an important part of Sonoma County’s local food system. Almost all of these properties had water and fencing existing when County departments purchased them. In one case, the SCAPOSD paid to have a water well drilled, and several other cases the land is leased to an adjacent farmer or rancher who provides water from his or her own property. Each property in the report lists the county department that owns the land, so if you want more information, you must contact them directly. 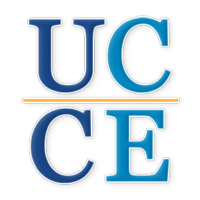 If you have available land suitable for farming, please contact Karen Giovannini at klgiov@ucanr.edu. California FarmLink is a nonprofit organization that provides farmers with the tools they need to lease and purchase land, access capital, and improve business planning. On April 23, 2015, a gathering of over 170 aspiring farmers, ranchers, landowners and agricultural resource organizations took place at Sonoma County Fairgrounds. Hurdles abound, and the dialogue continues. Many innovative ideas cropped up at the table discussions, ranging from a tax credit for landowners to lease to farmers, what to do about lack of farmer housing, where to find business plan resources, and more. Clearly the conversation will continue. A committee of the Sonoma County Food System Alliance – the Ag & Natural Resource team were responsible for hosting the event and are meeting bi-monthly, to find ways to address the important issues brought up that day. If you have an innovative solution, give us a call! 707-565-2621.